bumper, the grille, or on the upper windshield. 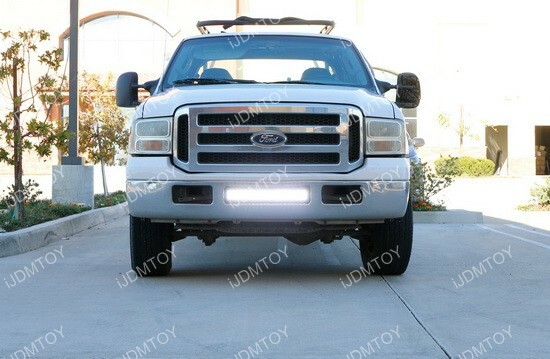 This is a 2005-2007 Ford F-250 LED light bar that sits nestled in the lower bumper and produces quite a lot of lighting both on and off the road. 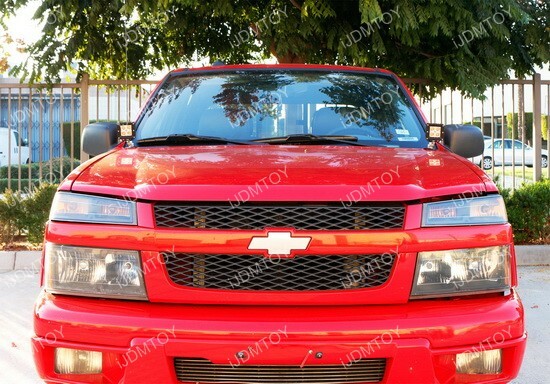 The entire LED light bar kit comes with the heavy duty, 120W LED light bar and a pair of exclusively designed metal mounting brackets that allow for a direct and easy bolt-on installation without any modification required. People who hate to cut up or drill into their truck will definitely love this LED upgrade since there’s absolutely no modifications involved.